Thailand’s biggest and most popular island, Phuket is fast becoming one of the worlds most sought after destinations. With more and more people visiting each year, including many celebrities, Phuket is earning the title of Thailand’s dream island, and rightly so. Get in amazing scenery, which will probably take your breath away, many people fall in love with Thailand every year even if they spend just a couple of days there. Many golfers flock to Thailand because there are a considerable number of courses to play on that are located in one stunning location after another. Thailand Boasts over 400,000 golf tourists each year and it clear to see why. 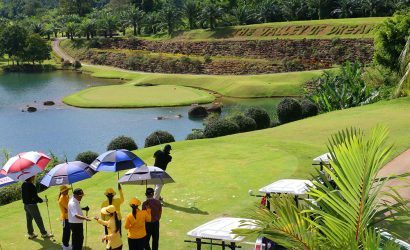 At Orbit Tours Thailand, we offer a wide range of golf tours in Thailand spread throughout every district and region, including courses in Bangkok and Chiang Mai, Hua Hin, Phuket and Pattaya. Enjoy playing golf on some of the worlds most attractive golf courses . Many golf tours us include travel where you won’t have to drive anywhere because a coach picks you up from where you’re staying in Thailand. If a golf course has a clubhouse, of which there are many in Thailand, complimentary refreshments will be provided. If you want to play on picturesque and well-maintained courses which are located all around Thailand, why not take a look at our many golf tours?